To enjoy the glow of good health, you must exercise and the purpose of exercises is to tighten up the slack, toughen the body and polish the spirit this is an essential reason why Ntaifitness provides you with durable Pilates equipment for the gym to enable you to have a well rounded exercising session. Pilates is an innovative and safe system of mind-body exercise using a floor mat or a variety of equipment which helps to dramatically transform the general outlook of the body and enhances performance. 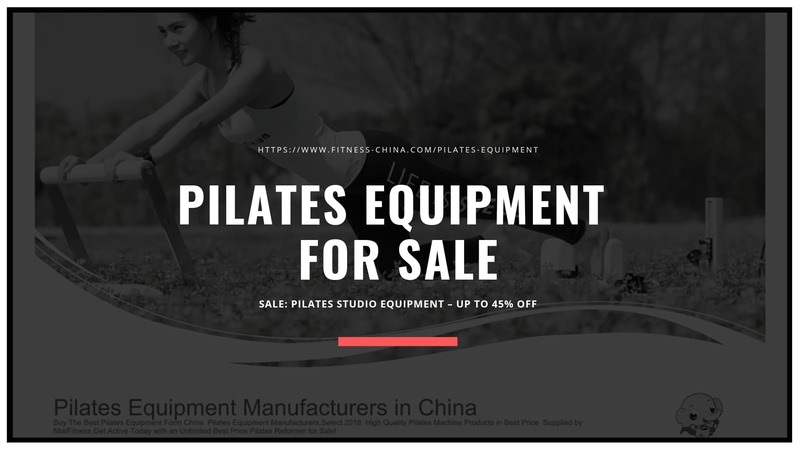 Ntaifitness is an innovation from Shandong Ningtai, a Body Building Apparatus Limited Company, that that fabricates, designs and supplies quality assured and feature-laden fitness equipment to its global clients, I mean from China to the rest of the world! They have overtime as a result of excellence been rated the best commercial gym manufacturers. Mat Pilates- commonly called ‘matwork’, is the method people are most familiar with since this approach is often present at fitness centers, retreats and in online classes. Pilates Props- this includes pilates ring, toning balls, resistance brands, BOSUs, foam rollers, large stability balls, small stability balls. Pilates Reformer- The Pilates reformer is the most common apparatus of the family, the reformer has a ‘carriage‘ which slides along two railings that serve as the frame of the machine. The carriage has springs of varying resistance that hook up to the front edge of the frame that can create as much or as little resistance as you’d like for a particular exercise. Pilates Cadillac- This is fully loaded with bells and whistles. Pilates Chair- This is one of the smaller apparatuses that still utilize a spring system for resistance. Ntaifitness offers you this balanced body equipment in very economical prices, also having a series of distinct features like versatility, expandable, adjustable, easy to use and store reformer system and many more substantial qualities to mention a few. For more information regarding our quality services, We are located at No.287, KangBo DaDao, Economic Development Zone, DeZhou City, Shandong Province, 253082, China.